Virtual Claims Adjuster’s impressive platform options allow the flexibility to serve clients of all sizes in various industries around the globe. From small locally owned claims handling offices, to large international corporations, we understand that each company has unique business practices and needs. Our client base is rooted by a strong insurance sector presence with independent adjusting firms, public adjusters, third party administrators, self-insured companies, appraisal firms and large volume CAT companies. 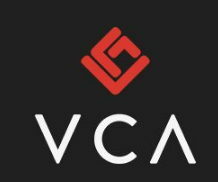 In addition to their solid following in the insurance sector, VCA has also shown an overwhelming ability to access other verticals through our current servicing of government municipalities, school boards, transportation companies, marine cargo carriers, financial & mortgage release firms, restoration companies, property management firms, and law firms. Regardless of your industry or size, we’re dedicated to your continued success. That’s why we have a fierce focus on the future – to provide you with the intuitive tools you need to get your business where it needs to go. Both today…And tomorrow. If you or your company handle claims on a daily basis, there’s a good chance we can help you. Virtual Claims Adjuster has quickly become the leading Claims Management System for customers worldwide due to its evolving feature set, ease of use and the ability to tailor the system to each firm’s individual business needs. With our software being web based, it allows customers all over the world, to access claim file information via the internet at any given time, while keeping infrastructure and IT resource costs at a minimum. VCA boasts various claims management tools which allow individuals from all areas of your business to become more effective and efficient in an effort to increase your bottom line. Over 22% of Virtual Claims Adjuster’s current client base originates from direct client referrals. This high client referral base is a number we are very proud of as it is a direct reflection of the satisfaction of our clients worldwide. At Virtual Claims Adjuster, we understand that implementing a new claims software solution is a complex business decision to make. It requires extensive review of the various products, the exploration of all the options and feedback from all parties involved. It is also not uncommon to look to fellow firms in your chosen industry for affirmation on a particular product. After your online demo of Virtual Claims Adjuster and demo access to try the tools first hand, we invite you to speak with some of our clients to hear what they have to say about our claims management software. Simply make this request to your Claims Management Specialist after your online demo, who will be able to provide you with a few contact details, so you may speak with them directly. Take advantage of our free demo today to see if Virtual Claims Adjuster is a good fit for you.